Teaching Blog Round Up: Hey! Hey! Momma Rock Me! Hey! Hey! Momma Rock Me! Moms are the best, don't you think? a guiding light to everyone in our whole family. what a job it really is! You wear so many hats and are so needed. I continue to need my mom a lot to this day. for me and my family. 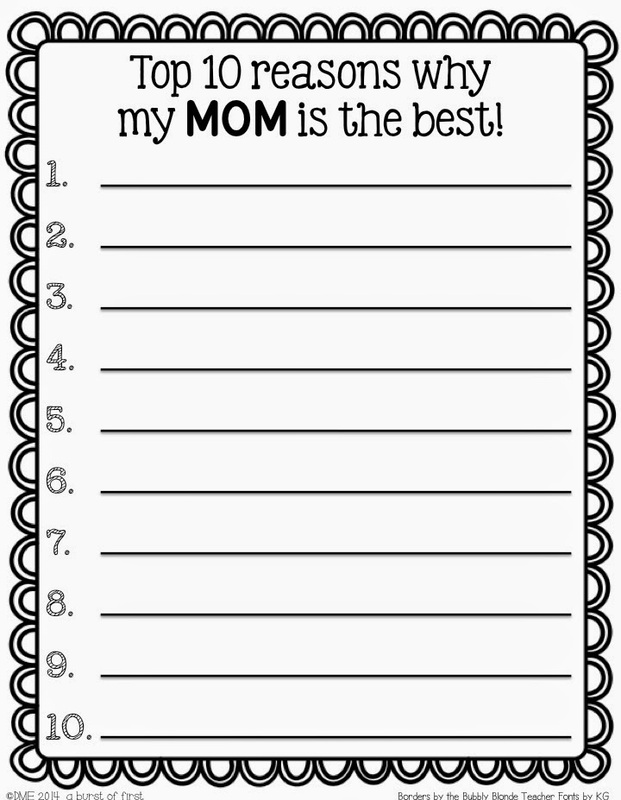 "The Top Ten Reasons Why My Mom is the Best". Mother's Day will be sneaking up on us in less than 2 weeks! The kids started to come up with some great ideas. 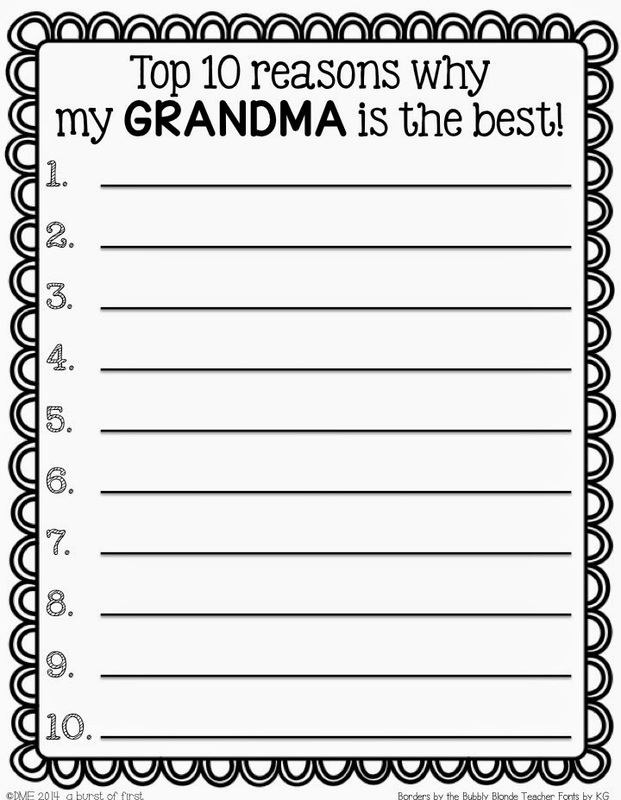 Here's my top ten for my mom! 6. She's my Pinot Grigio pal! love to gang up on me. 10. She's simply the best! make their top ten lists on. 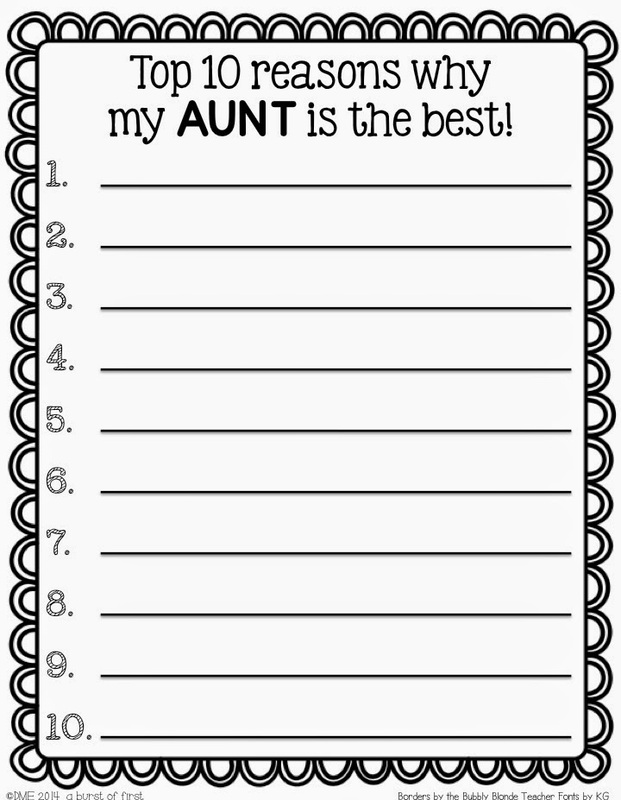 aunt and a blank space for various family dynamics. 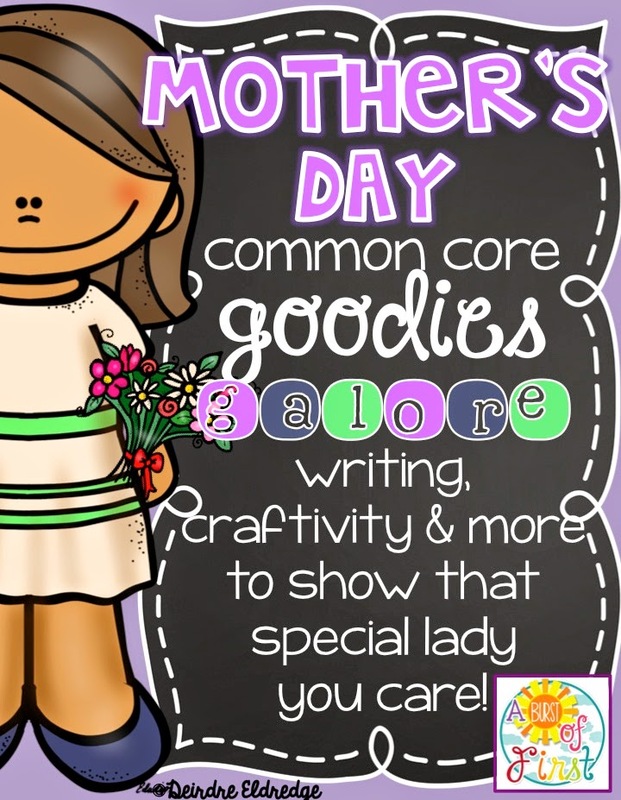 working on my new Mother's Day Common Core Goodies Galore. 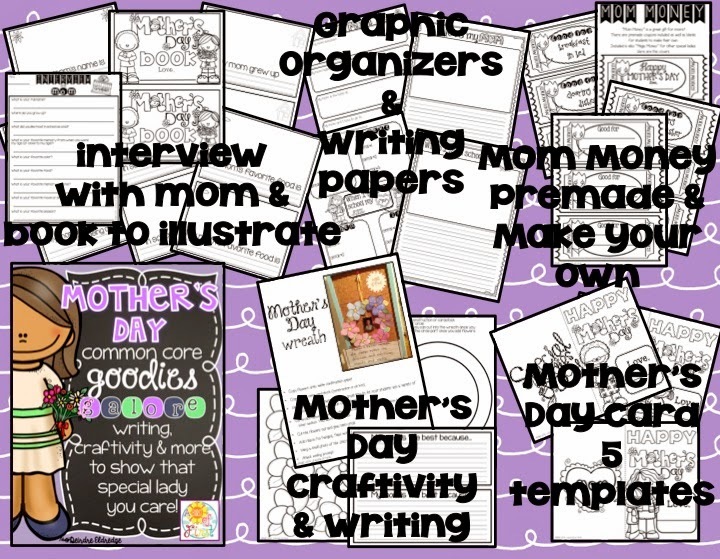 Easter, Spring, and Earth Day Ideas! 120 Chart ... Fun and a Freebie!